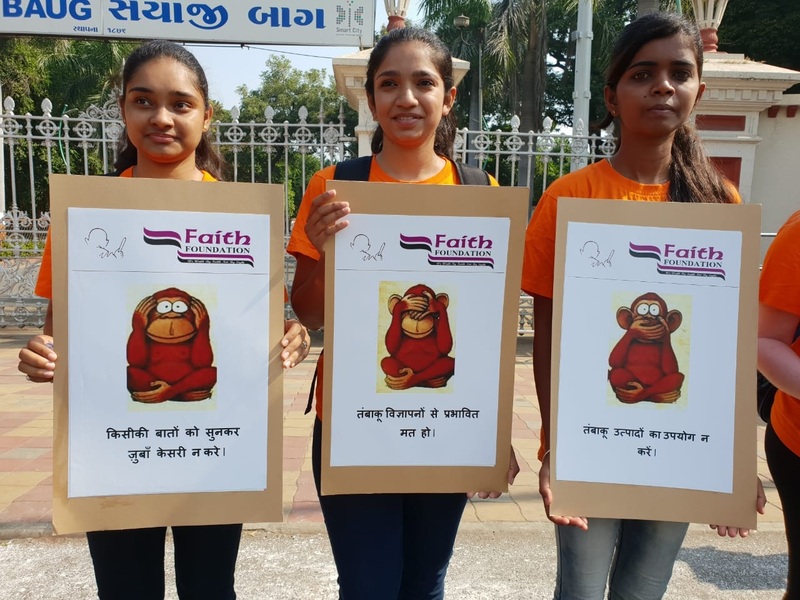 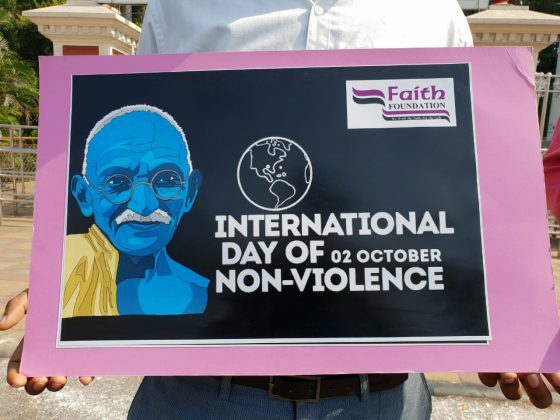 Faith foundation in Vadodara organised a awareness programme on 2nd October cleverly using the three monkeys for spreading the messages effectively. 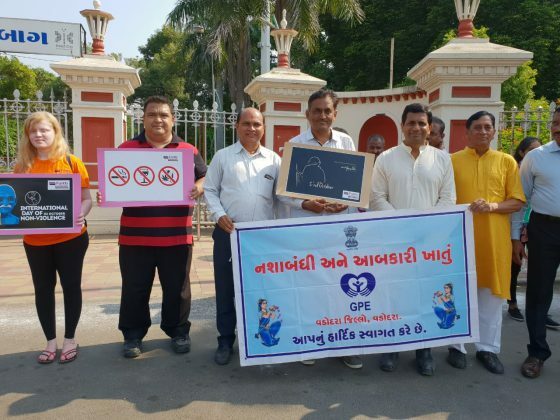 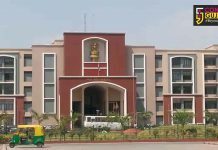 They give the messages of not get carried away by the tobacco advertisement and start using the products. 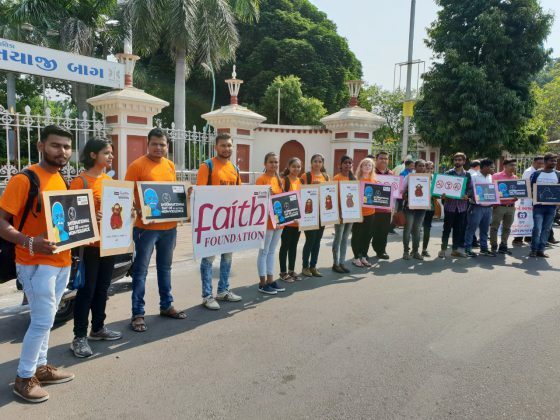 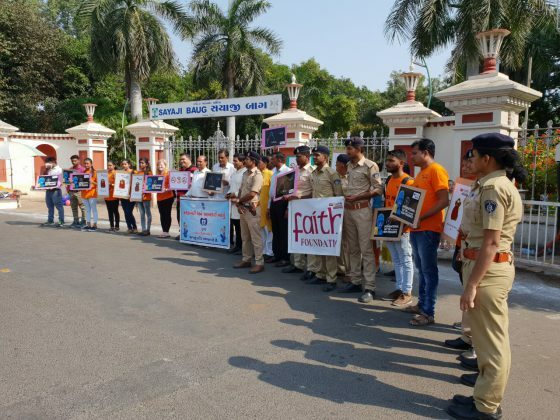 In collaboration with Prohibition department Vadodara the Faith foundation volunteers formed a human chain with message of deaddiction. 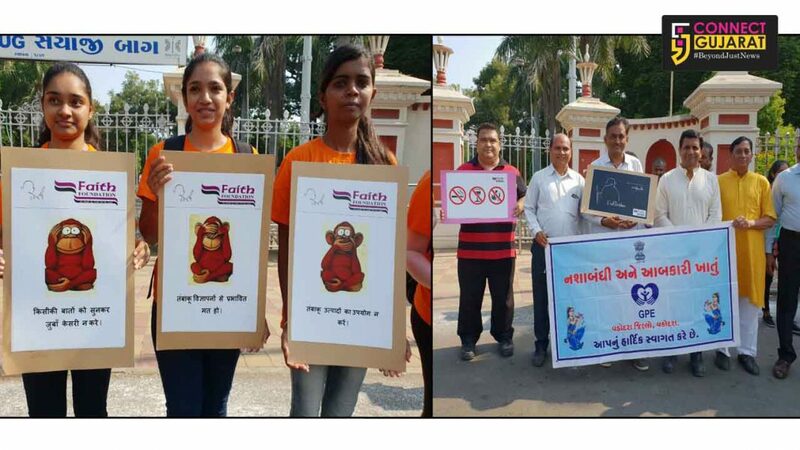 The volunteers stanf with placards and banners having messages of not using tobacco products for a healthy future. The foundation uniquely used the three monkeys spreading the messages of not listen to anyone, don’t carried away with the tobacco advertisement and use the products. 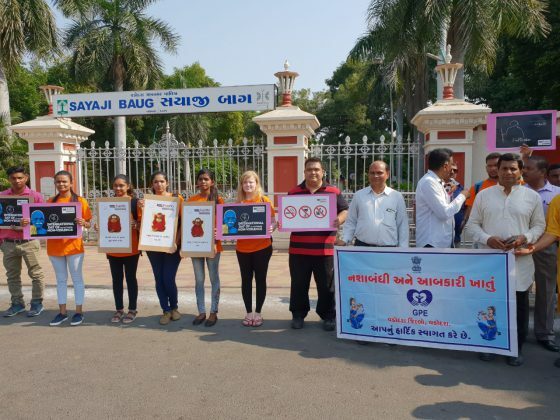 The volunteers spreading the message among the youth and people to stop using the harmful tobacco products for healthy future.